Learn more about Petitgrain Essential Oil or find a great deal on the best selling Petitgrain Oil from the items below! Botanical Name: Petitgrain bigarde Extraction Method: Steam distilled Aroma: Fresh-floral, citrus scent and a woody-herbaceous undertone Origin: Italy Petitgrain Essential Oil is believed to have uplifting properties. Aromatherapists have long used it to calm anger and stress, while it has been used in the skin care industry for acne, oily skin, and as a deodorizing agent. History Originally the oil was produced in distilleries from the unripe oranges when they were the size of cherries. This explains why it is named Petitgrain - which in French means little grains. Nonetheless, this proved to be uneconomical and so the oil began being extracted from the leaves and twigs of the orange tree instead. All nature's kiss products are for external use only! use care when using this essential oil. Pregnant women should avoid use. Keep out of reach of children. Avoid contact with mucus membranes and eyes. If you have a medical condition or believe you may have a medical condition, consult with your licensed health care professional before using this product. Always dilute prior to applying topically. For use in aromatherapy and other applications. For all other applications carefully dilute this oils with a carrier oil. Examples of carrier oils are foraha, jojoba, grape seed, almond or olive oil. If you are unsure how to use this product, please refer to an essential oil book or other professional source for suggested usage and proper dilution methods. Nature's kiss Petitgrain essential oil has a medium strength aroma that is fresh, floral, citrus with a top note and woody herbaceous undertones. Petitgrain Essential Oil. (Citrus Aurantium) 10 ml. 100% Pure, Undiluted, Therapeutic Grade. Botanical Name: Citrus Aurantium PARTS USED Leaves and twigs EXTRACTION METHOD Steam distilled NOTE CLASSIFICATION Top to Middle AROMA Fresh-floral, citrus scent and a woody-herbaceous undertone OVERVIEW Mostly used in perfumery. BLENDS WELL WITH Benzoin, bergamot, cedarwood, clary sage, clove, cypress, eucalyptus lemon, frankincense, geranium, jasmine, juniper, lavender, lemon, mandarin, marjoram, neroli, oakmoss, orange, palmarosa, patchouli, rose, rosemary, sandalwood, ylang ylang HERBAL MISCELLANY At first the oil was extracted from the small green unripe oranges. The name petitgrain comes from this, meaning little grains. PRECAUTIONS Oil Specific: None known. General: As with all essential oils, never use them undiluted, in eyes or mucus membranes. Do not take internally unless working with a qualified and expert practitioner. Keep away from children. If applying an essential oil to your skin always perform a small patch test to an insensitive part of the body (after you have properly diluted the oil in an appropriate carrier. Other Garden of Green Essential Oils: Allspice, Anise, Basil, Bay, Bergamot, Black Pepper, Cassia, Cedarwood, Chamomile, Cinnamon Leaf, Cistus, Citronella, Clary Sage, Clove, Coriander, Cypress, Dill, Eucalyptus, Fennel, Fir Needle, Frankincense, Geranium, Ginger, Grapefruit, Hyssop, Jasmine, Juniperberry, Lavender, Lemon, Lemon Eucalyptus, Lemongrass, Lime, Mandarin, Marjoram, Myrrh, Myrtle, Neroli, Nutmeg, Oregano, Palmarosa, Patchouli, Peppermint, Petitgrain, Pine, Rosemary, Rosewood, Sandalwood, Spearmint, Spikenard, Spruce, Sweet Orange, Tangerine, Tarragon, Tea Tree, Thyme, Vetiver, Wintergreen, Ylang Ylang. Citrus fruits are treasure troves of wonderful medicinal properties and this has earned them a significant place in the world of aromatherapy and herbal medicines. The Essential Oil of Petitgrain is extracted from the fresh leaves and young and tender twigs of orange tree through steam distillation. Petitgrain is mentally refreshing and emotionally balancing when used aromatically. This oil is also beneficial for skin and hair health. 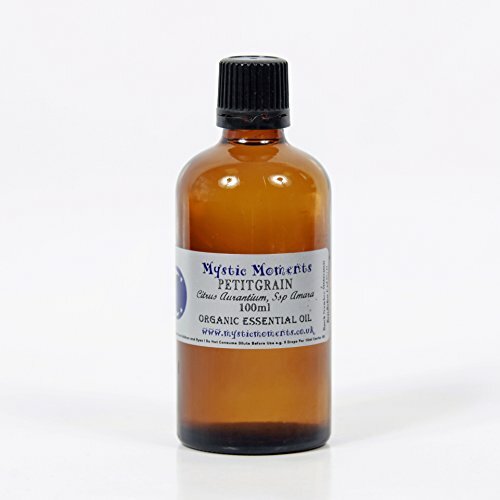 Traditionally, petitgrain has been used to support a healthy nervous system-particularly with nervous exhaustion and stress-as well as to improve instances of excessive perspiration and oily skin and hair. Benefits: ? Used to calm anxieties and to prevent insomnia. ? Calms anger and stress. ? Good for skin problems like acne and oily skin since it's astringent, drying and refining. ? Very good in massage blends. These statements have not been evaluated by the Food and Drug Administration. This product is not intended to diagnose, treat, cure, or prevent any disease. *** For external use only. Do not use if you are pregnant, breast-feeding or you have seizure disorders. Keep out of reach of children. Please consult an essential oils reference source for safety tips and suggested dilution ratios. 100% Pure Therapeutic Grade Petitgrain Essential Oil Botanical Name: Citrus aurantium Comes in 10ml amber glass essential oil bottle. European Dropper Cap included. What sets Healing Solutions Essential Oils apart is superior cultivation of ingredients that are the best in the world. Combined with superior distillation and bottling care process, We GUARANTEE that our oils are aromatically superior and more effective than any other oils - if you disagree we will refund your money! The Leading Aromatherapy Associations (Alliance of International Aromatherapists (AIA), International Aromatherapy and Aromatic Medicine Association, Aromatherapy Trade Council, and others) all state that essential oils should not be taken internally (regardless of purity or organic origin) unless under the guidance of a health care practitioner trained at an appropriate level . As such, all of our oils carry a label warning that the product is NOT FOR INTERNAL USE. 10mlBotanical name ~ Citrus aurantium. Aroma ~ Fresh and woody aroma. Extraction ~ Oil obtained via steam distillation. Part of plant ~ from the leaves and twigs.Country of Origin ~ Egypt / ParaguayChemical Constituents ~ Linalyl acetate, linalool, alpha-terpineol.Traditional Uses ~ Relaxing and stabilising to the emotions, Petitgrain is distilled from the leaves and twigs of bitter orange tree that also gives us Neroli from its flowers. One of the classic ingredients in eau-de-cologne, it is balancing and toning to the skin. Organic Certificate ~ This Essential Oil is certified Organic by the Soil Association which means you can be sure that it has been produced to the highest ethical and environmental standards. The Soil Association?s standards exceed the UK government's minimum requirements for organic products in many areas but particularly in animal welfare, GM and the use of pesticides. Standards are constantly reviewed to ensure they deal with current issues. Petitgrain Mandarin essential oil is distilled from the leaves, twigs and occasionally from the small, undeveloped fruits of the mandarin tree. It is a skin toner and cleanser. It is excellent for oily skin and acne. It can be used with in the bath and body wraps to detox. Health Benefits ? It is widely used in skin care products to cure skin problems including acne, pimples, and blemishes. It serves to clear and tone the skin on account of its anti-bacterial properties. ? Helps combat respiratory infections. ? Reduces fatigue and tiredness by stimulating the physiological systems of the body. Aromatherapy benefits ? It is a potent relaxant. It eases rapid pulse rate by relaxing your nerves, thereby soothing your body as well as mind. It also helps relieve sleeplessness or insomnia. It reduces stress and anxiety. ? Helps in enhancing concentration and memory, thereby benefiting the intellectual part of your brain. In other words, it is a tonic for the mind. These statements have not been evaluated by the Food and Drug Administration. This product is not intended to diagnose, treat, cure, or prevent any disease. For external use only. Do not use if you are pregnant, breast-feeding or you have seizure disorders. Keep out of reach of children. Please consult an essential oils reference source for safety tips and suggested dilution ratios. 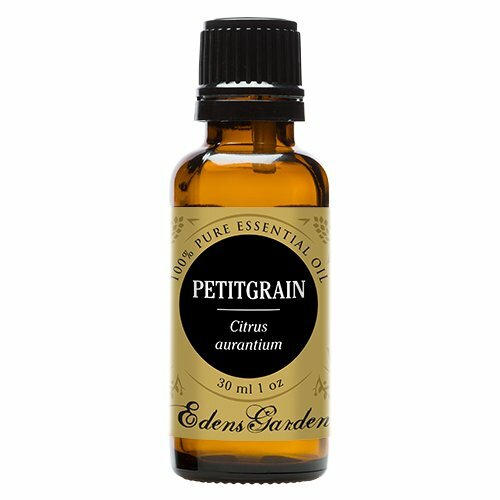 Petitgrain Certified Organic Essential Oil 100ml Botanical Name: Citrus aurantium, SSP Amara Plant Part: Leaves and Twigs Extraction Method: Steam Colour: Pale yellow to Amber Common Uses: Petitgrain is believed to have uplifting properties. Aromatherapists have long used it to calm anger and stress, while it has been used in the skin care industry for acne, oily skin, and as a deodorizing agent. Consistency: Thin Note: Top Strength of Aroma: Medium Blends well with: Bergamot, Cedarwood, Clary sage, Geranium, Lavender, Lime, Jasmine, Neroli, Orange, Palmarosa, Rosemary, Rosewood, Sandalwood and Ylang Ylang. 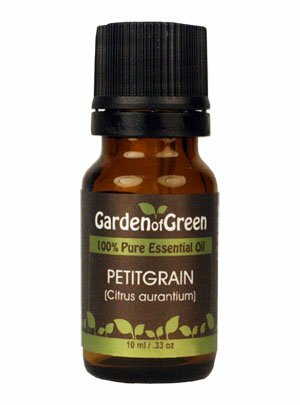 Aromatic Scent:Petitgrain Essential Oil smells like orange blossoms with a bitter, woody and herbaceous undertone. History:Originally the oil was produced in distilleries from the unripe oranges when they were the size of cherries. This explains why it is named petitgrain which in French means little grains. Nonetheless, this proved to be uneconomical and so the oil began being extracted from the leaves and twigs of the orange tree instead. Silky Scents EO41-15ML 100 Percent Pure Therapeutic Grade Petitgrain Essential Oil - 15 ml. Aromatherapy Properties: (Uses) It is antidepressant antispasmodic and deodorant. Calms anger and panic refreshes the mind. It is considered uplifting and refreshing. Has a sedative effect on the nervous system helpful for rapid heartbeat or insomnia. Eases breathing and relaxes muscle spasms. Helpful with painful digestion by calming stomach muscles. Could help in clearing up skin blemishes and pimples. Useful for greasy hair and skin. Blends well with: Bergamot Cedarwood Atlas Lavender 40/42 Neroli Orange Sweet Rosewood (Brazilian) Wild Crafted and Sandalwood East Indian. Features100% Pure Essential Oil Raw Material - Petitgrain Botanical Name - Citrus Aurantium Therapeutic Grade Capacity - 15 ml. Petitgrain Essential Oil. 10 ml (1/3 oz). 100% Pure, Undiluted, Therapeutic Grade. Botanical Name: Petitgrain bigarde * Plant Part: Leaves and Twigs * Extraction Method: Steam Distilled * Origin: Paraguay * Description: Petitgrain bigarde is native to Southeast Asia. The tree now grows throughout the Mediterranean and sub-tropic areas worldwide. 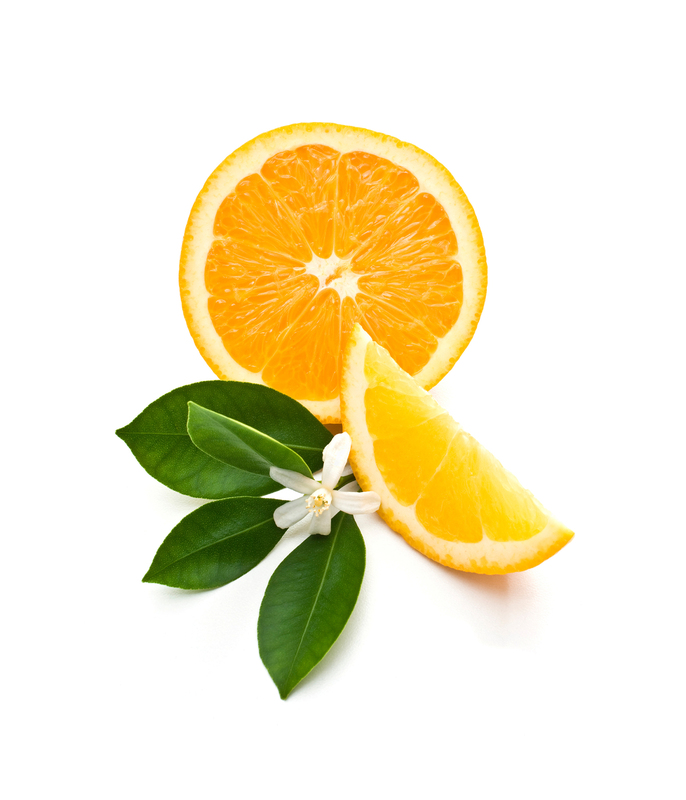 The bitter orange tree that provides the Petitgrain Essential Oil is also the source of Bitter Orange Oil and Neroli Oil. * Color: Colorless to pale yellow liquid. 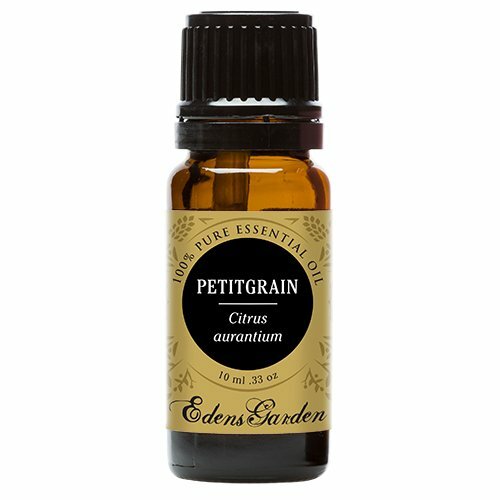 * Common Uses: Petitgrain Essential Oil is believed to have uplifting properties. Aromatherapists have long used it to calm anger and stress, while it has been used in the skin care industry for acne, oily skin, and as a deodorizing agent. * Consistency: Thin * Note: Top * Strength of Aroma: Strong * Blends well with: Bergamot, Cedarwood, Clary Sage, Geranium, Lavender, Lime, Jasmine, Neroli, Orange, Palmarosa, Rosemary, Sandalwood and Ylang-ylang. 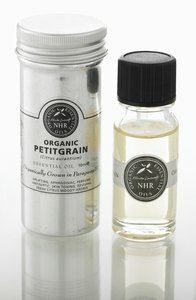 * Aromatic Scent: Petitgrain Italy Essential Oil smells like orange blossoms with a bitter, floral, citrus and herbaceous undertone. * History: Originally the oil was produced in distilleries from the unripe oranges when they were the size of cherries. This explains why it is named Petitgrain - which in French means little grains. Nonetheless, this proved to be uneconomical and so the oil began being extracted from the leaves and twigs of the orange tree instead. 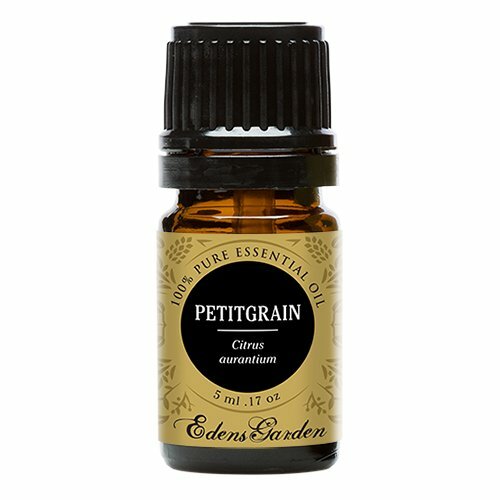 * Cautions: Petitgrain Italy Essential Oil is generally non-toxic, non-irritant, non-sensitizing. Avoid use during pregnancy. 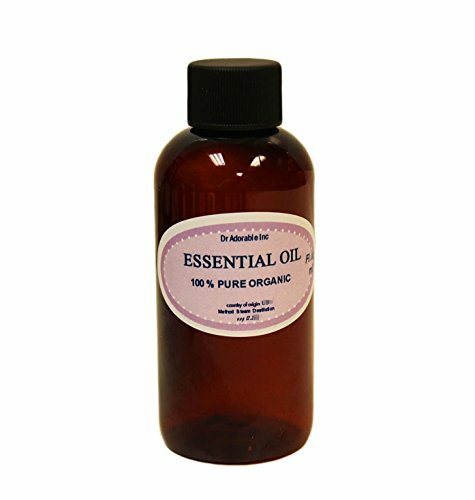 Silky Scents EO41-10ML 100 Percent Pure Therapeutic Grade Petitgrain Essential Oil - 10 ml. Aromatherapy Properties: (Uses) It is antidepressant antispasmodic and deodorant. Calms anger and panic refreshes the mind. It is considered uplifting and refreshing. Has a sedative effect on the nervous system helpful for rapid heartbeat or insomnia. Eases breathing and relaxes muscle spasms. Helpful with painful digestion by calming stomach muscles. Could help in clearing up skin blemishes and pimples. Useful for greasy hair and skin. Blends well with: Bergamot Cedarwood Atlas Lavender 40/42 Neroli Orange Sweet Rosewood (Brazilian) Wild Crafted and Sandalwood East Indian. Features100% Pure Essential Oil Raw Material - Petitgrain Botanical Name - Citrus Aurantium Therapeutic Grade Capacity - 10 ml.